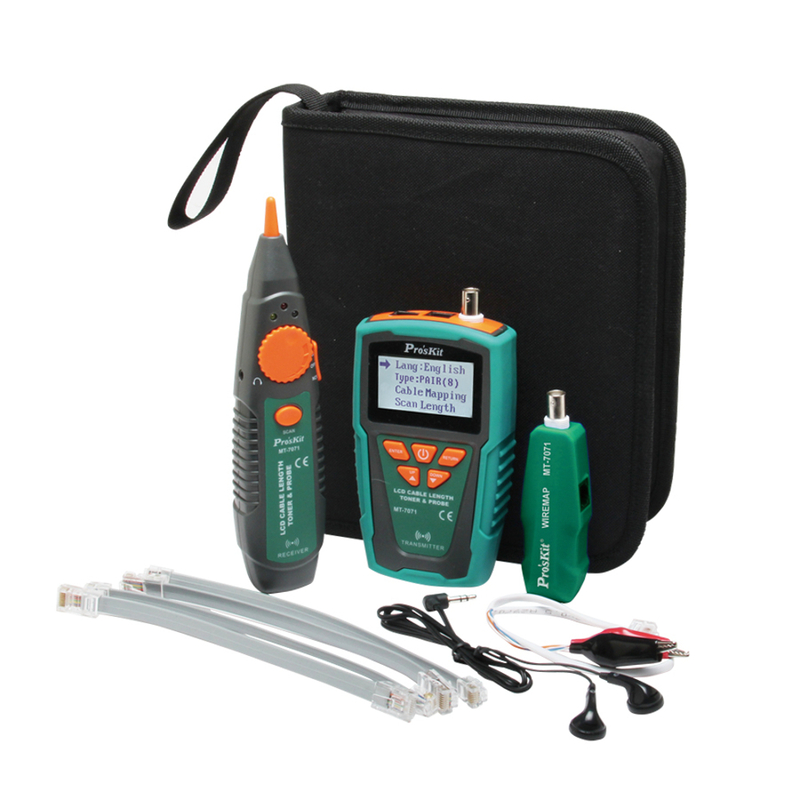 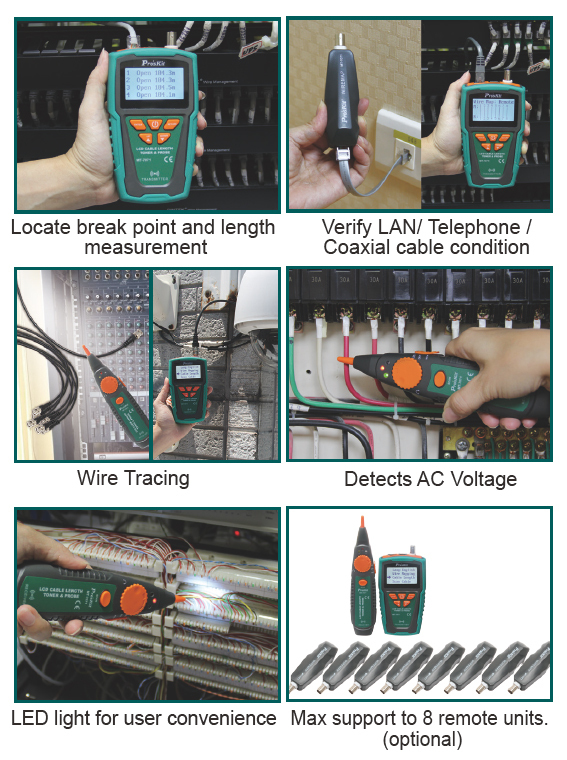 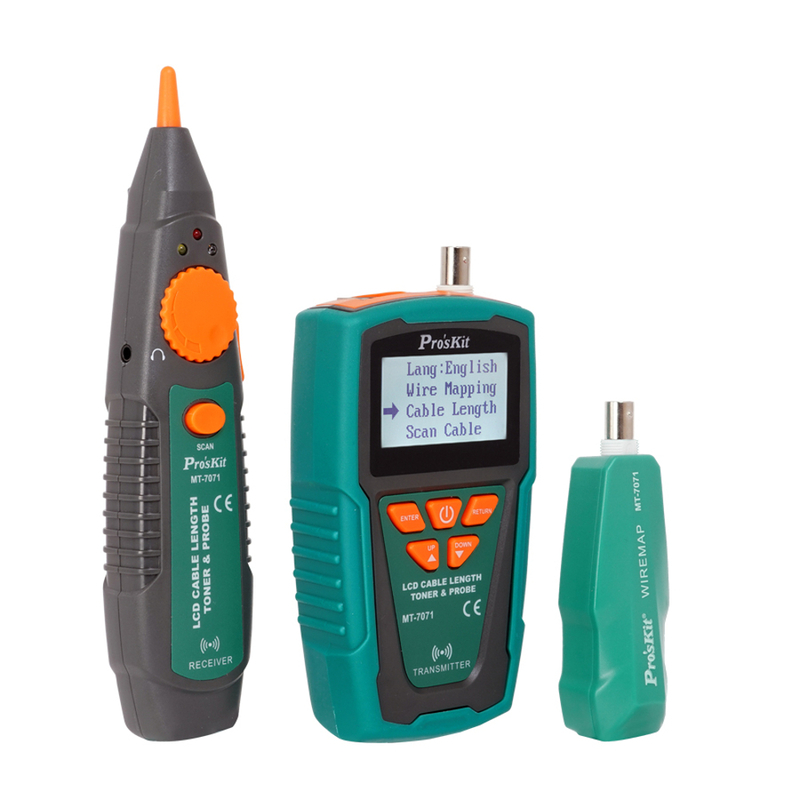 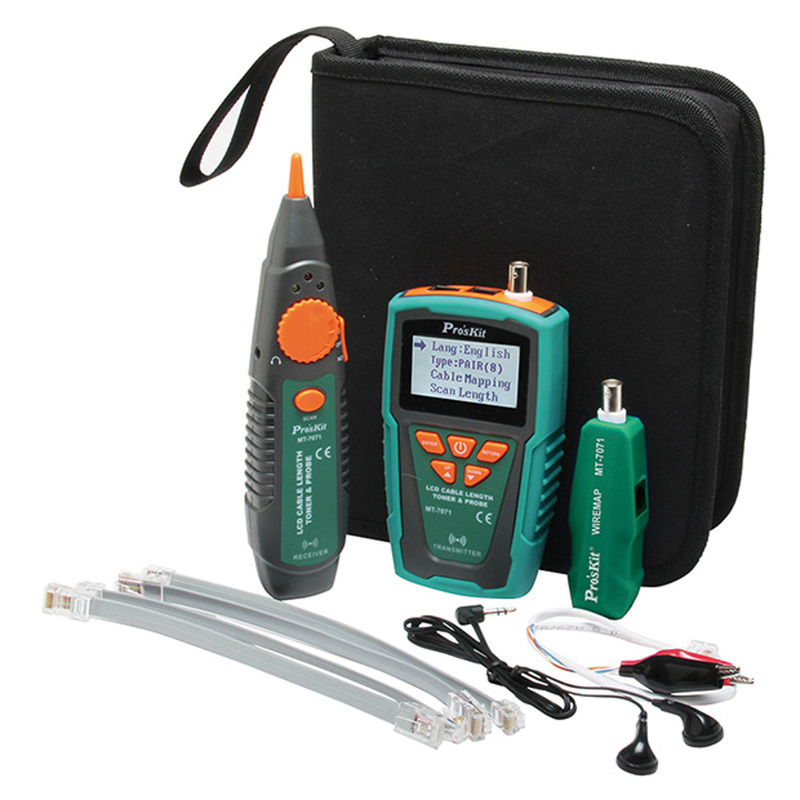 The MT-7071 let you measures cable length up to 1200M (4000ft), and locate and verify the cable status and troubleshoot wiring. 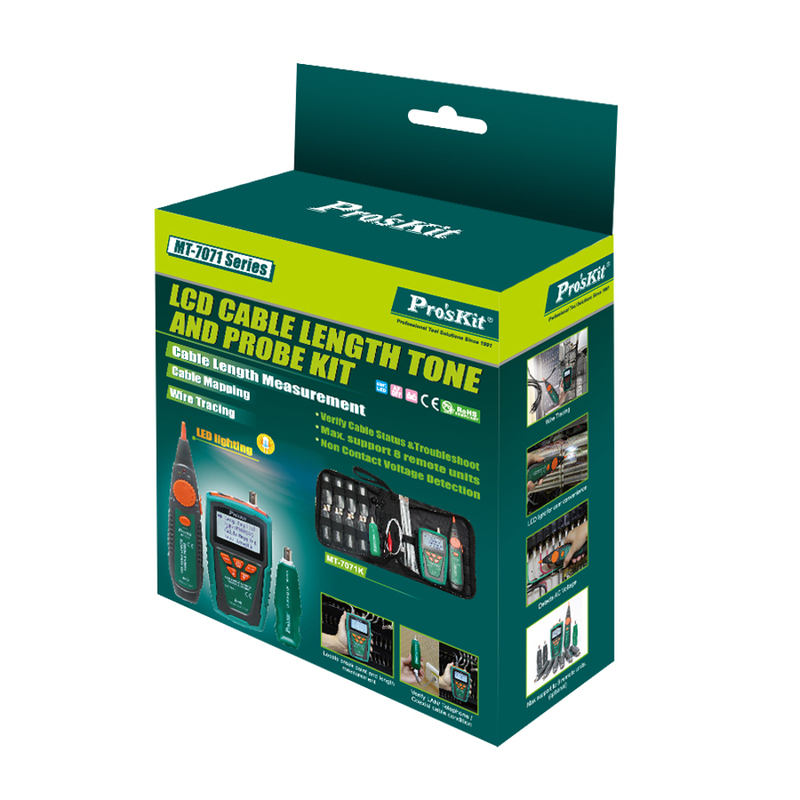 Ideal for all installation and maintenance fields of telecommunication, networking, datacom, Audio/Video, cable TV, and all weather cabling, etc. 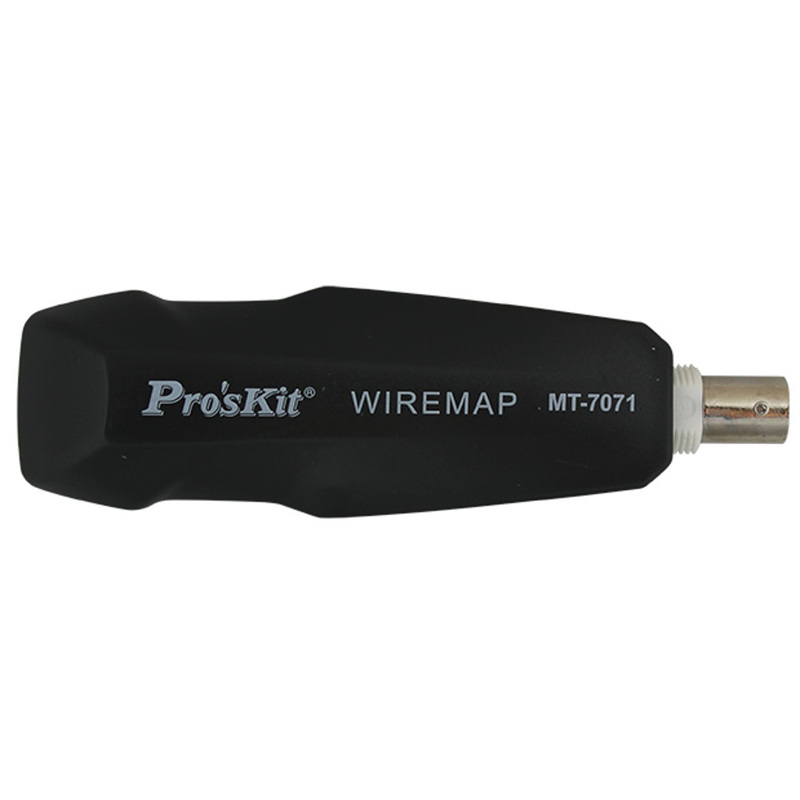 Display cable status and troubleshoot wiring for continuity, shorts, opens and crossover.